Are you looking for an opportunity to explore a nonprofit career, deepen your engagement with a community organization, school or public agency? Engage in service connected to your academic goals. SRV 4010 is a Service-Learning Internship. Students will intern about 110 hours at an approved community organization to complete work that meets a community-defined need. Students interested in this course should contact Marjorie McLellan, Interim Director, Center for Service-Learning and Civic Engagement, to secure internship placement before the start of the term. Registration by department permission. Contact Professor McLellan at marjorie.mclellan@wright.edu or (937) 775-3888. The Newman Civic Fellowship recognizes and supports students who have demonstrated an investment in finding solutions to public problems and challenges facing communities throughout the country. As a program of Campus Compact—a national coalition of a thousand-plus colleges and universities, including Wright State—this one-year fellowship experience provides virtual learning opportunities, networking events, mentoring, and resources to help develop fellows into effective agents of change to build more equitable communities. Newman Civic Fellows are invited to participate in a national conference to connect with their counterparts across the country and participate in regional and state gatherings and webinars focused on developing their leadership skills. Campus Compact will give Newman Civic Fellows national recognition through websites and media, provide tools to help measure their personal growth, and invite them to participate in the Ronald Reagan Foundation & Institute’s Leadership and the American Presidency Program. Interested Wright State University students are encouraged to apply for the 2018 Newman Civic Fellowship by submitting the Wright State University Newman Civic Fellowship Application by the application deadline of midnight, January 19, 2018. The Wright State selection committee will choose one student, who will be nominated by President Cheryl Schrader for this prestigious program. For more information about the fellowship, contact Jack Dustin, interim director, Center for Service-Learning & Civic Engagement, at jack.dustin@wright.edu. 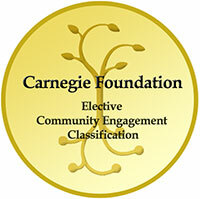 The Engaged Citizenship Studies Certificate program is open to students in all majors. The certificate gives you the opportunity to make a difference in your community while earning course credits, practicing your leadership skills, networking with community members, building your resume, and making new friends. The primary purpose and mission of the Engaged Citizenship Studies Certificate are to prepare students to respond and address identified needs in our communities. You will actively learn how to develop knowledge and skills for effective citizenship through understanding the resources and the needs of local, national, and/or international communities, and engagement with communities to enact positive change. For more information about the certificate contact Marjorie McLellan at marjorie.mclellan@wright.edu or (937) 775-3888. Through the Youth and Community Engagement minor, Wright State students and community youth organizations will learn from each other to meet the challenges of citizenship and democracy. This minor will prepare you to work with young people in urban schools and community programs through the active development of skills and strategies. The minor is open to students in all majors. For more information contact Anna Lyon at anna.lyon@wright.edu or Marjorie McLellan at marjorie.mclellan@wright.edu. Also, check us out on Facebook. Want to earn service learning course credit while experiencing new cultures, gaining new perspectives, and forming new personal and professional relationships? If so, studying abroad may be just the opportunity you are looking for! Students, regardless of major, can apply for service-learning abroad courses. Be sure to check out the University Center for International Education (UCIE) website to learn about prerequisites and descriptions of future courses. UCIE will post the 2015 courses as soon as they are set. Wright State offers the opportunity to combine service-learning with regional studies in the United States. For example: UH 2020: Environmental and Social Sustainability in Appalachia is offered in spring semester. Service learning internships may be a way to turn individualized service experience here or abroad into a for-credit course as well. For more information, contact Michele Tyler at michele.tyler@wright.edu or (937) 775-4262. Students in engineering and science majors spend three-weeks in Kaseye, Malawi, practicing innovative technical problem-solving. Students work in a healthcare facility to repair, install, and test medical equipment and computers. This experience seeks to broaden students' perspectives and improve their capability for performing in the field of engineering. Students will also be exposed to cultural and tourist activities. 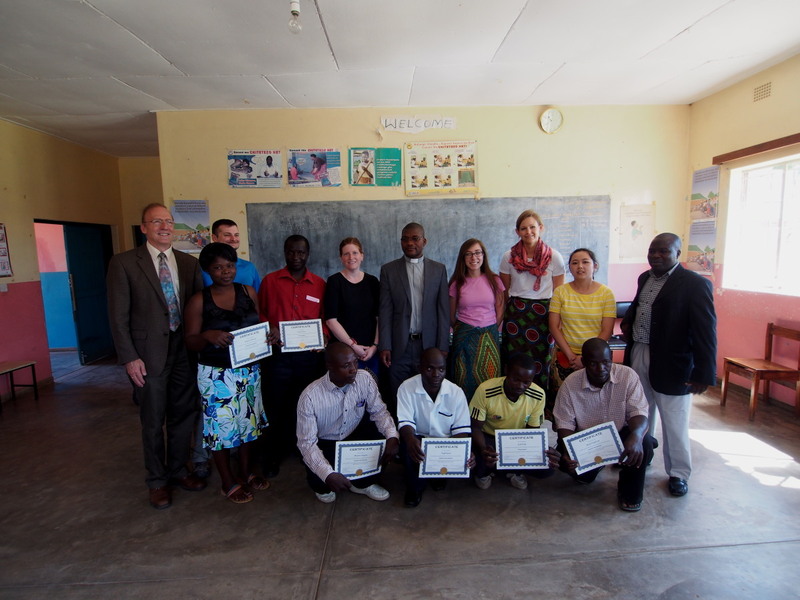 Students went to Malawi from May 12 to June 4 this summer. They installed an x-ray room that included a low-cost digital image receptor developed as a senior design this past academic year, and a hematology analyzer generously donated by CopuNet. The students trained the local personnel in the safe use of the newly installed equipment and taught a couple courses in basic computer use. The group received gifts from the hospital. From left to right: Bill Conley, Dr. Hangartner, Megan Atler, Nhi Lam, Amanda Marker, and Emily Diller. 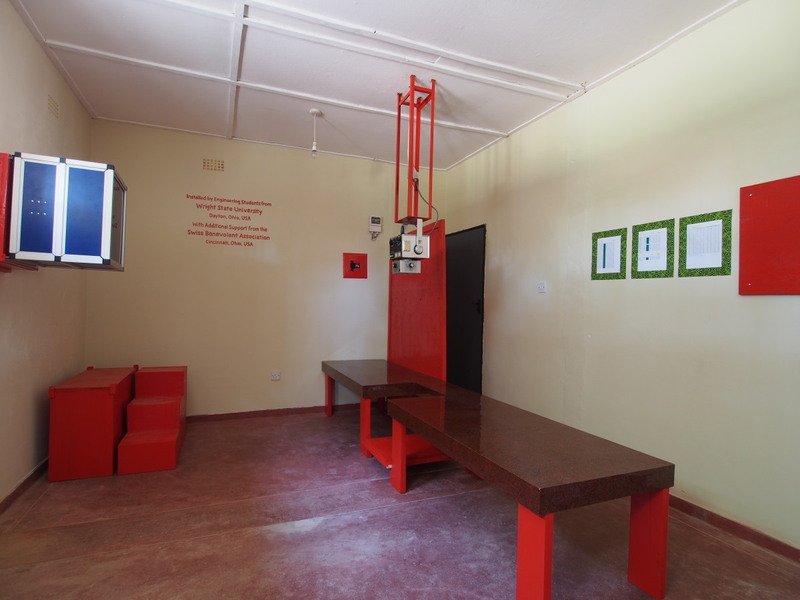 This is the x-ray room the group built from an unused room in the hospital. In addition to needing to make adjustments to the room, all the fixtures and furniture were built from scratch. This is the group with the parish priest and the medical personnel they trained on the x-ray. The South Africa Global Youth Development program, located in the city of Durban, will give you the opportunity to learn about the strides being made in local South African communities to overcome the legacy of apartheid. Students contribute by building the capacity of local high school students to assess their communities, plan, and implement community improvement projects. WSU students are trained to facilitate a community-based leadership workshop. The workshop aims to teach high school students how to assess their communities, plan service projects, and utilize their personal and community assets to implement them. Students will be going to South Africa this summer, June22-July13. Check out the program's Facebook Page! Jointly run by the Wright State University's College of Nursing and Health and the School of Nursing at the Muhimbili University of Health and Allied Sciences (MUHAS), this global health service-learning trip is an opportunity for students to learn about family and community life, healthcare, and the culture of Tanzania. Students work with nursing students from MUHAS, visiting health clinics in surrounding villages. Before departure to Tanzania, students will be provided with reading material in the areas of service-learning theory, healthcare systems and nursing, millennium goals and the social-cultural, economic and political issues influencing health in Tanzania. Basic conversational Kiswahili language lessons will also be included during orientation. 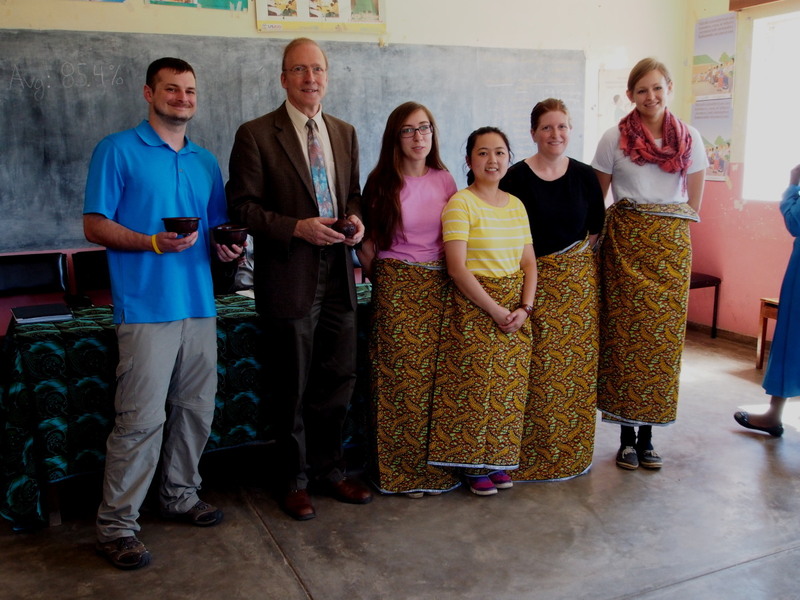 Five students visited Tanzania this summer, July 25-August 16. During their stay, they visited an orphanage where they interacted with children and brought clothing donations, toured a local HIV/AIDS relief organization where they had the chance to interact with social work students, and worked in their unit of interest in the Buguruni Health Center. Students traveling to Paris, France can opt to participate in the week-long internship program in Bordeaux. The internship broadens perspectives as students discover another French city in a very different geographical and cultural region of France. No longer, mere tourists, students will stay with families and will participate in French professional life by presenting American culture to French students of English. In addition to getting an insider's view of French schools and family life, students will develop presentation skills and will gain a deeper understanding of cross-cultural nuances. Also, during the program, students will visit historical sites and will visit Bordeaux' treasured vineyards. Students that participated in the optional internship stayed in Bordeaux from May 13-May 20. Course: UH 2030-3 credit hours; meets all semester, the trip is the week between spring semester finals and the first week of summer A term. UH 2030, The Environmental and Social Sustainability in Appalachia course, introduces students to the environmental, social and economic challenges affecting the people of Appalachia. The instructors believe that the integration of classroom work and service-learning using this multidisciplinary approach leads to a deeper understanding of complex issues. The course meets all semester to go over the content and prepare students for the capstone experience, a service-learning trip to Athens County in Southeast Ohio. Students participate in both social and environmental service projects during the week-long trip. In the past, students have helped Good Works with home repairs and maintenance as part of the Neighbors Helping Neighbors program, did water testing with Monday Creek Restoration Project, mulched community gardens with Community Food Initiatives, shifted collections of books at the Athens County Public Library, and weeded the asparagus beds at Green Edge Gardens. "Outside of the close bonds that we developed with one another over the course of the trip was the sense of personal growth that I believe each of us felt by the time we left. Every day was a new learning experience; whether it was through listening to someone's story, developing new skills, or discovering a different perspective to a specific issue, not one person left the experience unchanged." WSU mentors is a service-learning mentoring program. 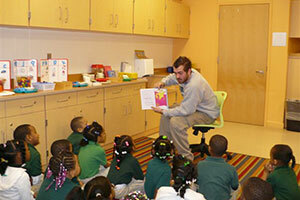 Wright State students become mentors to students from the Louis Troy PK4 School in Dayton. For more information on WSU Mentors, contact Jack McKnight at jack.mcknight@wright.edu. Touch Tomorrow is a tutoring and mentoring program for children from low-income neighborhoods and difficult home-life situation that make academic success challenging to achieve. Through this program, Wright State University students can provide mentoring to any of the following: Belmont High School, Dayton Urban Ministries, El Puente, Meadowdale Prek-8, P.A.C.E., Savillle Prek-8, St. Vincent's After School Program, Thurgood Marshall High School, and Westwood PreK-8. Individual students may also volunteer to tutor or enlist their student organization as tutors or mentors. Most placements require background checks (at no cost). For more information on Touch Tomorrow please contact the Center for Service-Learning and Civic Engagement at service-learning@wright.edu.